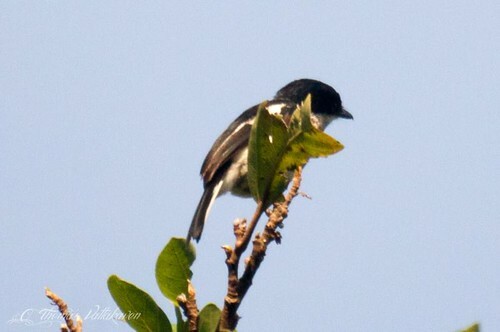 The Bar-winged Flycatcher-shrike (Hemipus picatus) is a small member of the Shrike family. 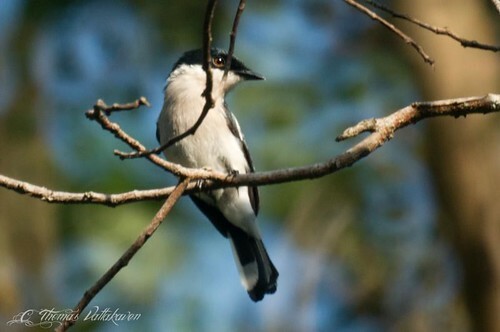 It is a black and white coloured bird. 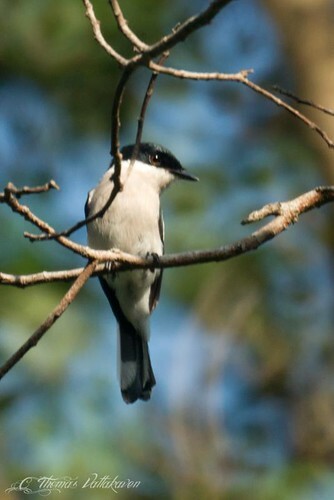 It has also been called the Pied shrike. 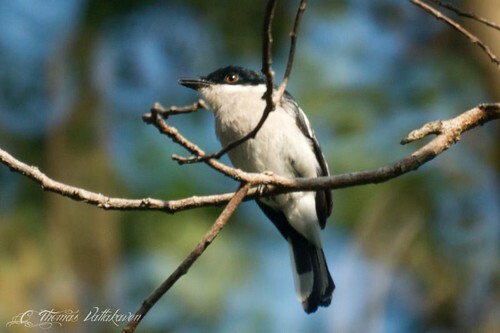 It has a white body, with a black cap and black wings. A white streak across its wings and , white tipped middle tail feathers and a white rump are the distinguishing features. 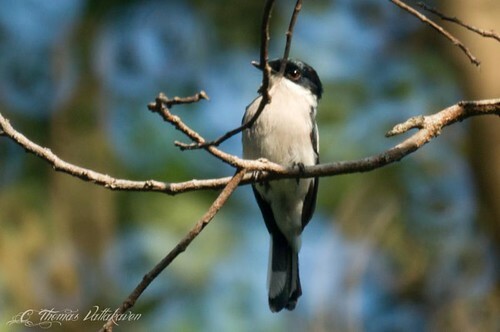 The female is similar to the male, except that it is a sooty black or brown, depending on the sub-species, of which there are many. Like all shirkes it has a beak that is hook-tipped and nostrils are covered by rictal bristles. The bill is black and the iris is a yellowish brown. They are largely confined to forests. They move through the forest, not staying long in one location. They are strictly arboreal. The nesting season is from march to may, their nest being placed in the fork of branches in trees, covered with moss. Two-three eggs are laid. The chicks are known to sit motionless in the nest, with their heads raised in the centre, giving the appearance of being a part of the branch. Other Details: Seen in a busy birding party. Sitting in trees and flying up and down catching insects.